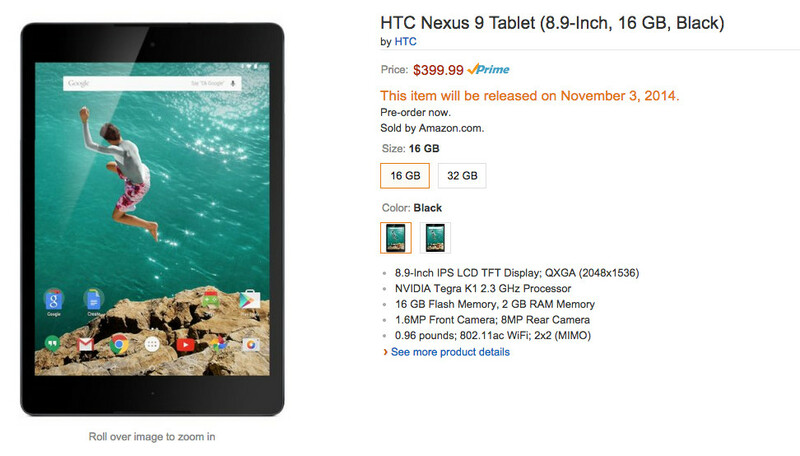 Pre-orders for the HTC Nexus 9 may not open at Google Play until tomorrow, but Amazon has it available already. For $399, you can have the 16GB version, or for $80 more you can double that to 32GB. The device is available with Prime shipping and says it will be released by November 3. I hate to say this, but you may get your Nexus 9 faster through Amazon than Google Play, with free or super cheap Prime shipping.